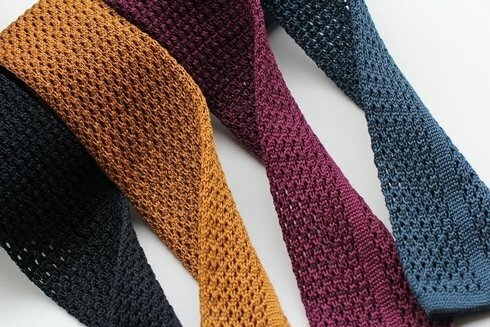 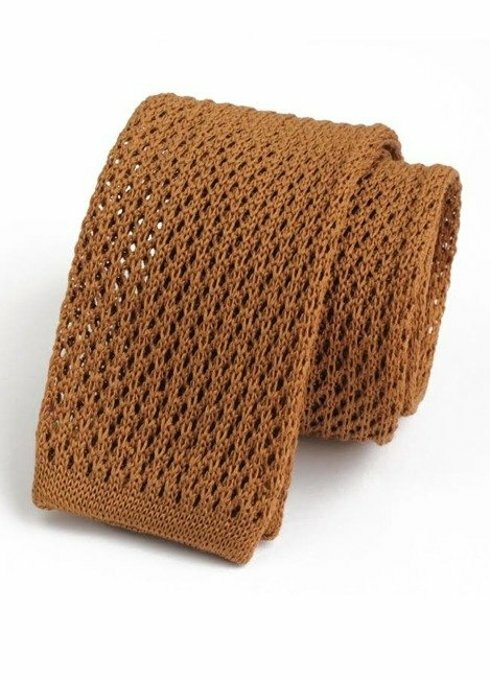 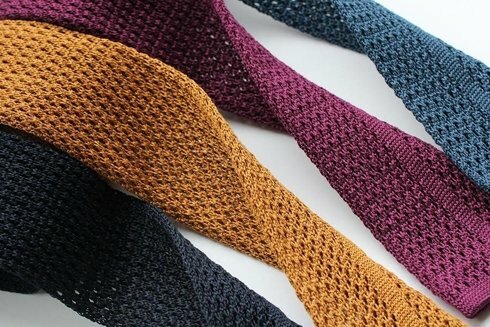 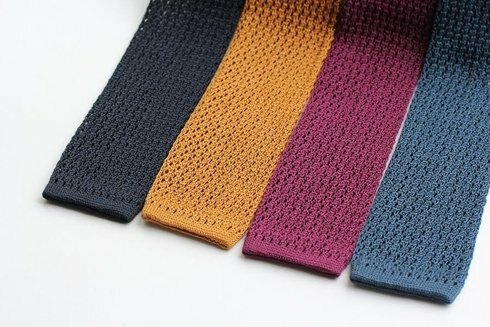 Knit tie made of cotton with 'openwork' texture. 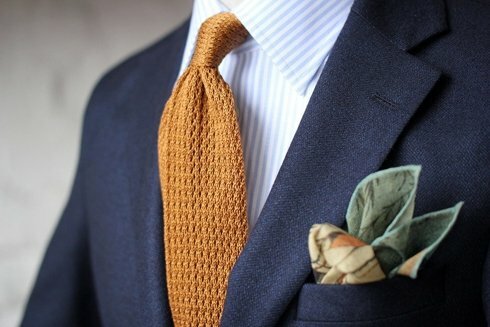 Works nicely with more casual outfits. Handcrafted in Italy.